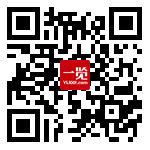 Zhuhai Rundu Pharmaceutical Co., Ltd is a modern high-tech enterprise integrating R&D, production and marketing. Company’s registered capital is 75 million Yuan with more than 800 employees. Rundu Pharma mainly engages in chemical medicine preparations, pharmaceutical raw materials and pharmaceutical intermediates. Our products cover the fields of cardio-cerebral blood vessels, digestion and anesthesia owning over 50 production licenses and more than 10 certifications of new medicines. Our company is the national high-tech enterprise, the key high-tech enterprise for national torch project, innovative and private technology enterprise of Guangdong Province and significant pharmaceutical industry contribution enterprise. Our technology center has strong technical innovation abilities and solid scientific research bases. It is identified as tech-center of Guangdong Province. Our company pays high attention on product quality and established national GMP certified workshops. Piperaquine Phosphate has WHO GMP. 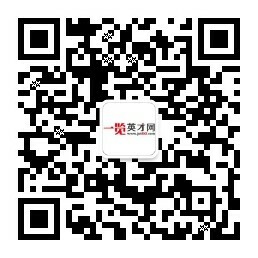 Our company focuses on integrity management, taxes actively, AAA level bank credit, top 30 private enterprises of taxpayers in Zhuhai City. Now Rundu Pharma has been an influential enterprise in domestic market of peptic ulcer disease medication and antihypertensive medication, a leading enterprise of producing sustained & controlled pellets and enteric-coated pellets. Guided by the principle of “scientific development, co-construction of harmony”, GMP norm as its standard, implement the policy of “innovation, technology and cooperation”. We take “unity, honesty, enthusiasm and responsibility sharing” as enterprise spirit to develop into a worldwide famous enterprise. 工作职责： 1、	负责公司新药制剂/合成原料的工艺研究工作，包括药物分析、制剂研究、质量研究等； 2、	负责公司研发的新药相关资料收集，独立进行中英文文献检索和项目相关部分的调研工作； 3、	负..